"I am among you as one who serves." 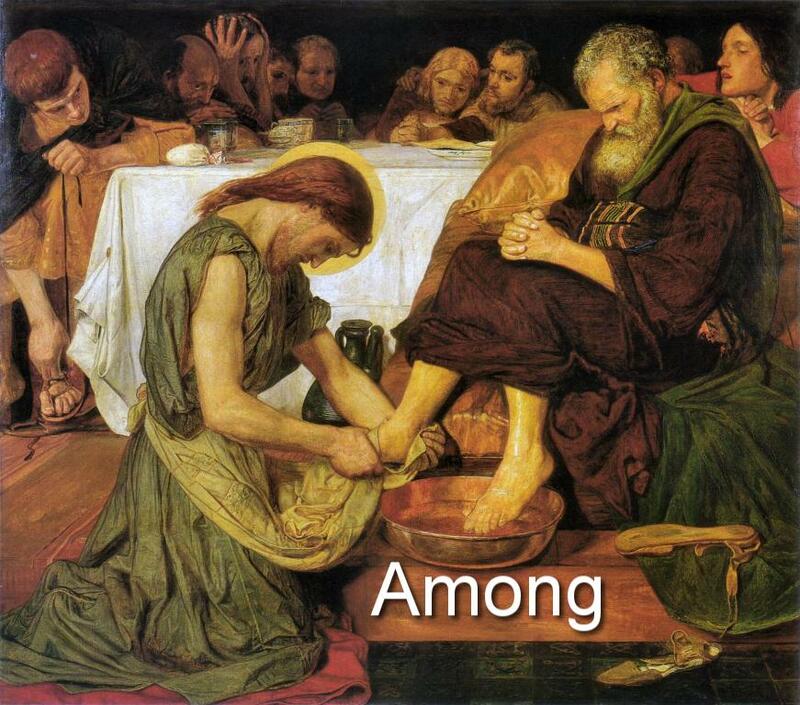 So I'm posting a painting by Ford Maddox Brown of Jesus washing Peter's feet at his Last supper. You can find that story in John 13: 1 - 20. It's a wonderful example of the meaning of 'Emmanuel' - 'God-with-us'. Not God high and mighty or remote, but God among us, one of us, serving among us.